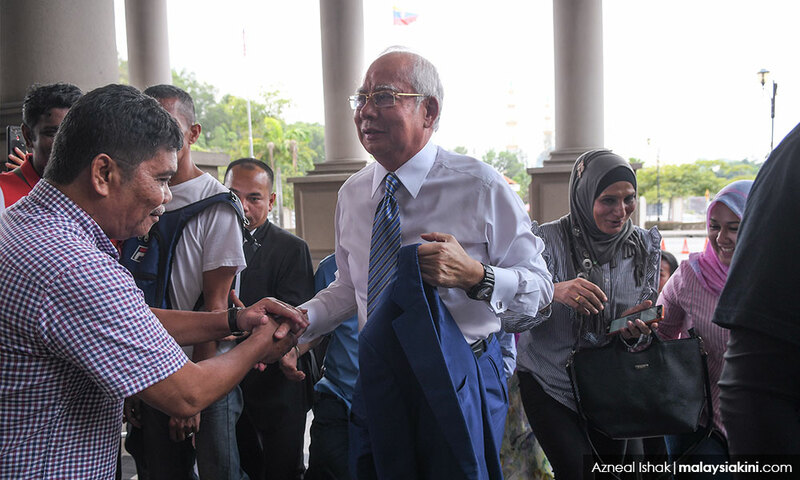 Now that former prime minister Najib Abdul Razak’s money laundering trial will finally get underway on Wednesday, Malaysians are again petitioning to have it broadcasted. In recent days, netizens have been reviving a nine-month-old Change.org online petition for a live telecast of the trial. At the time of writing, there were 32,370 petitioners. The last milestone – 30,000 – was reached four months ago. Among those calling for a live telecast is artist Fahmi Reza, who is best known for drawing Najib in the likeness of a clown. Fahmi’s Najib caricature has been widely used as a symbol of protest when BN was in power, and even made it on to a K-pop music video. Prosecutors have accused Najib of money laundering and criminal breach of trust involving SRC International Sdn Bhd, a former 1MDB subsidiary. SRC International’s mandate was to invest in strategic industries that would benefit Malaysia and borrowed RM4 billion from Retirement Fund (Incorporated) (Kwap) to do so. Little is known of what happened to SRC International’s investments. The company was bailed out by the Finance Ministry in 2012.